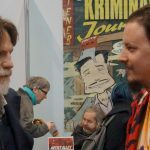 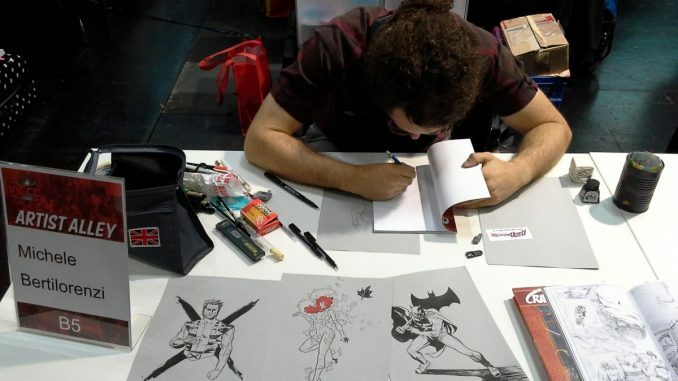 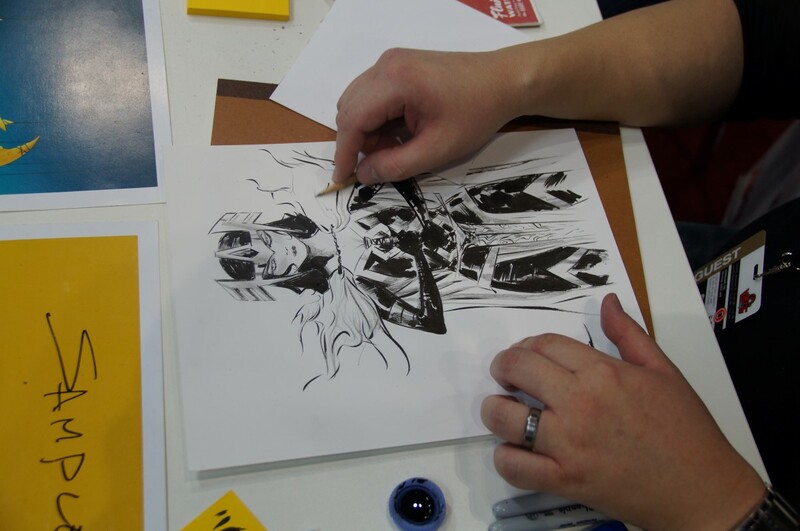 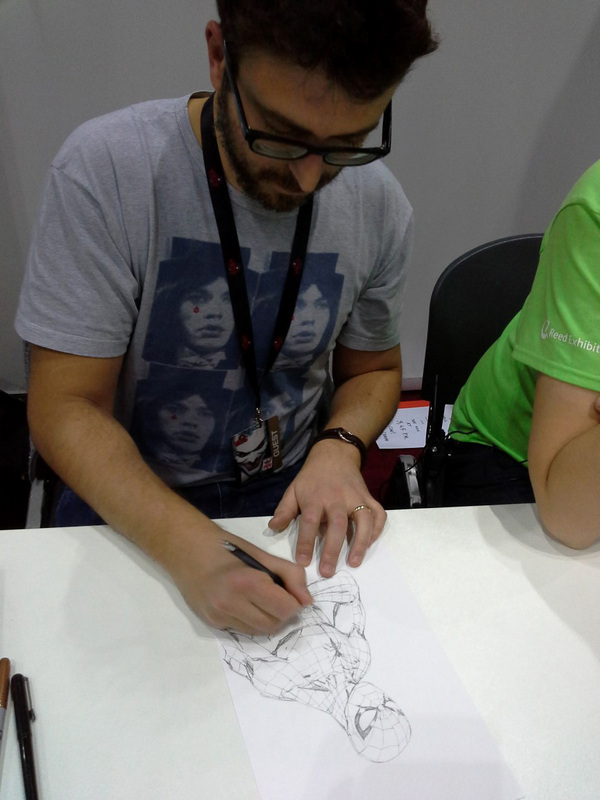 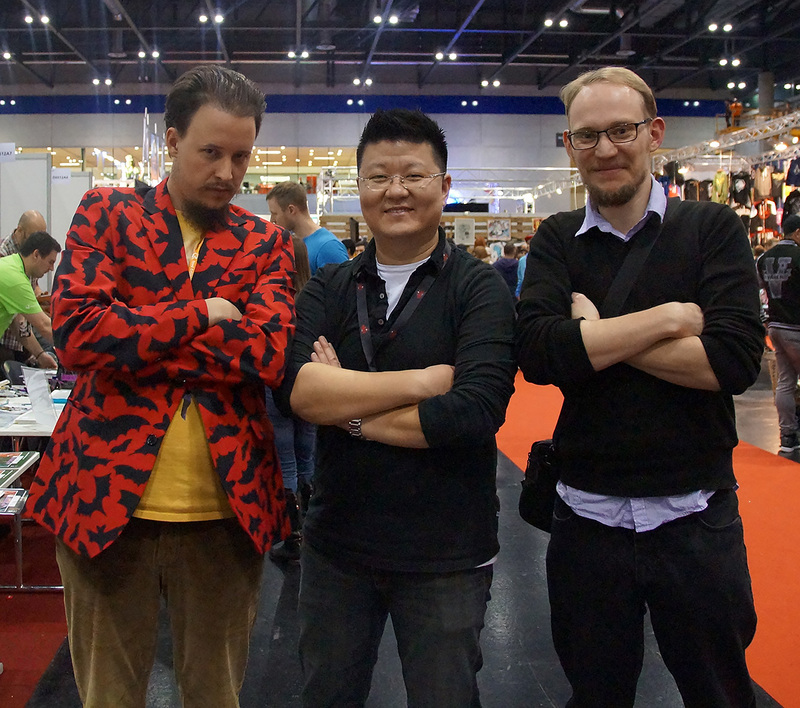 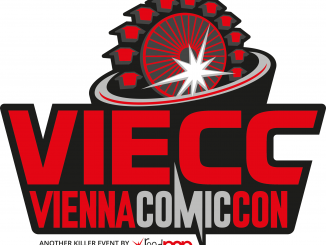 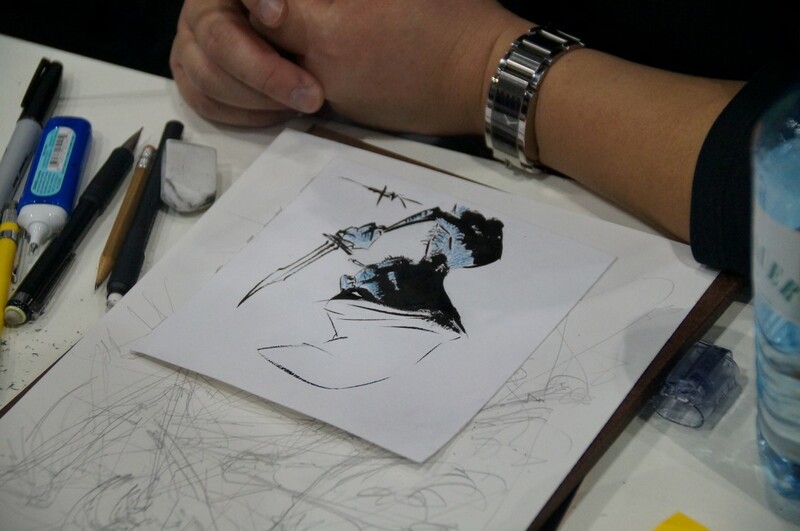 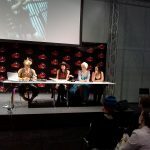 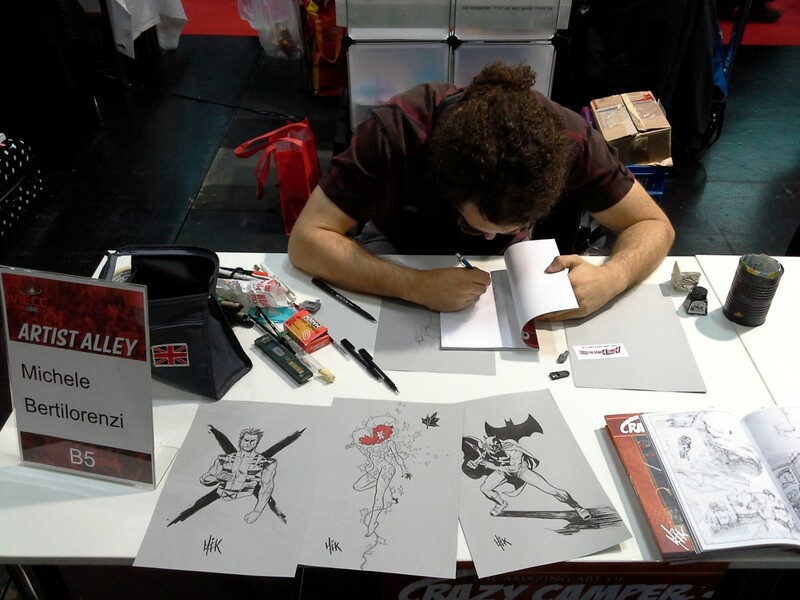 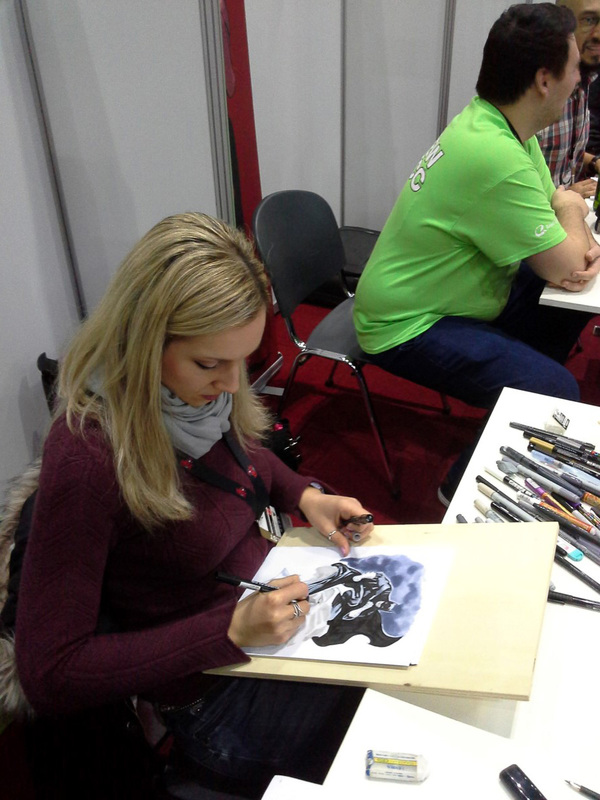 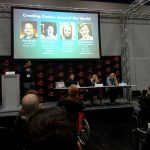 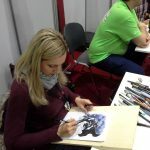 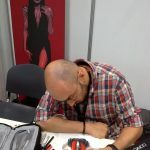 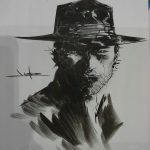 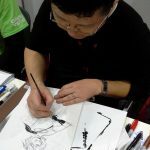 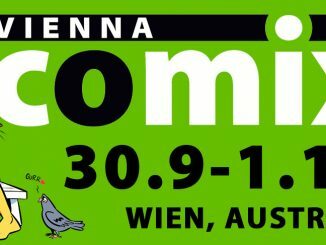 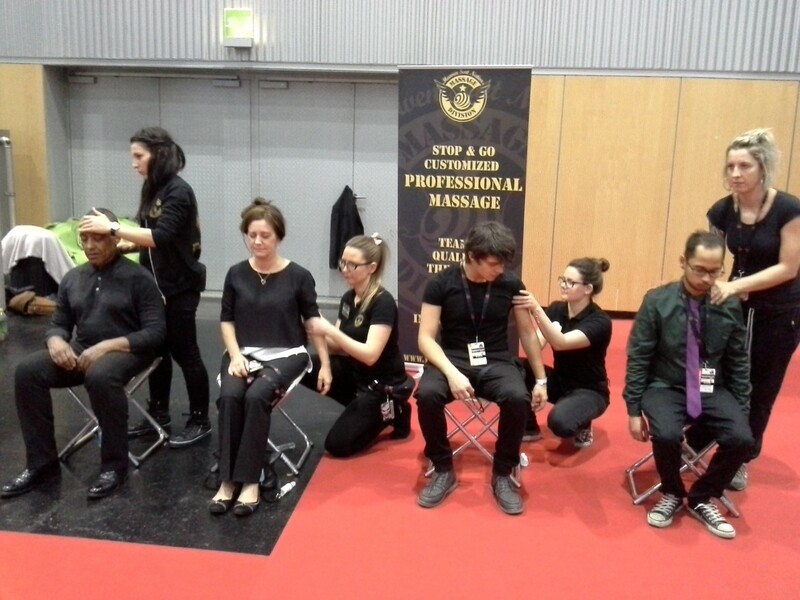 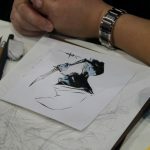 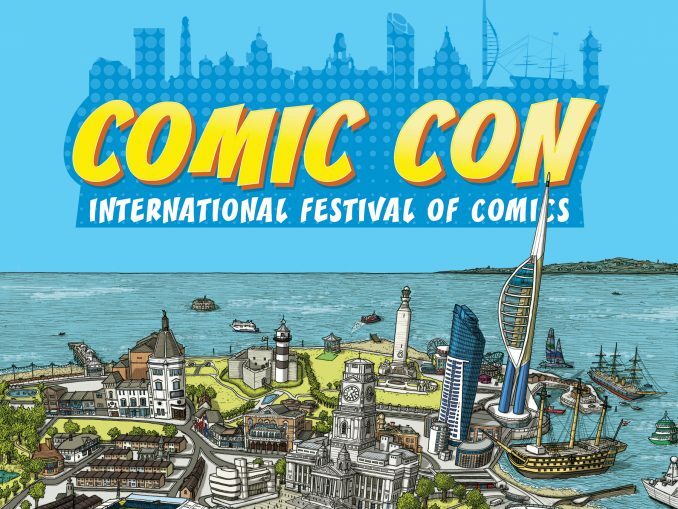 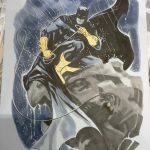 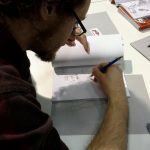 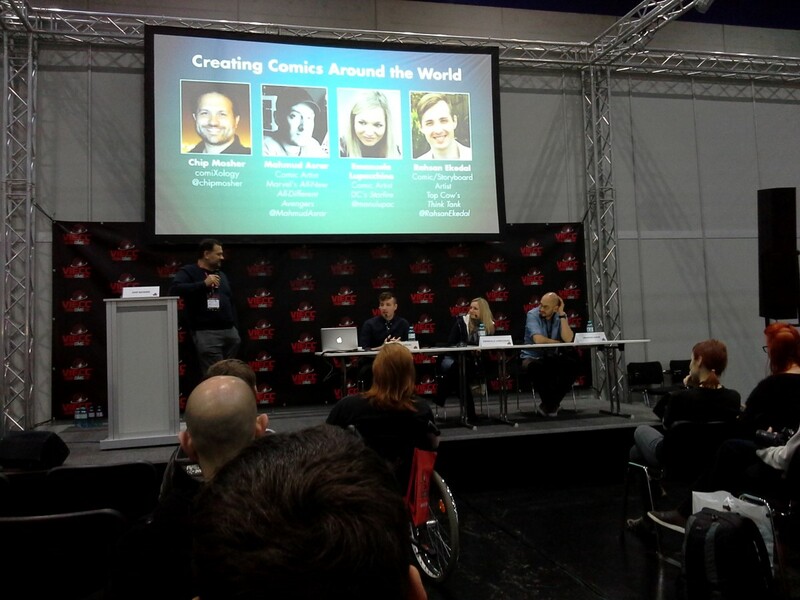 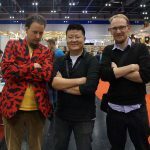 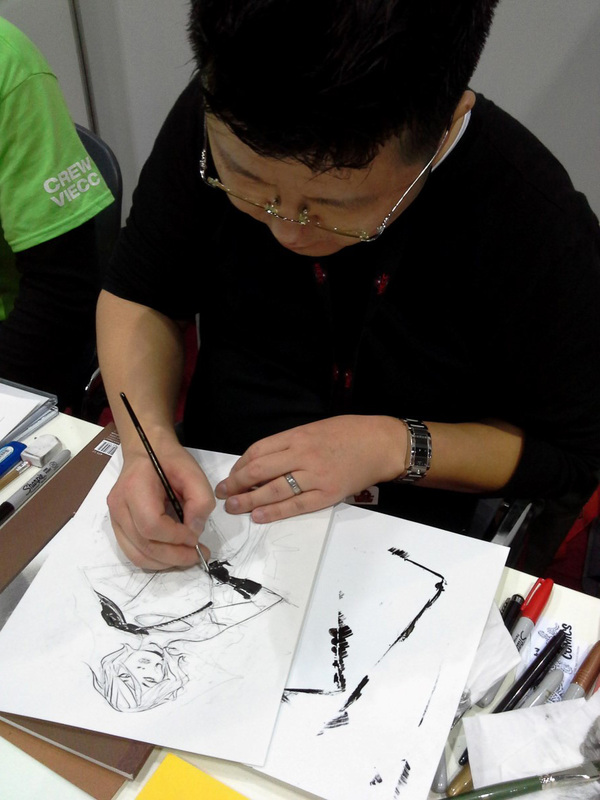 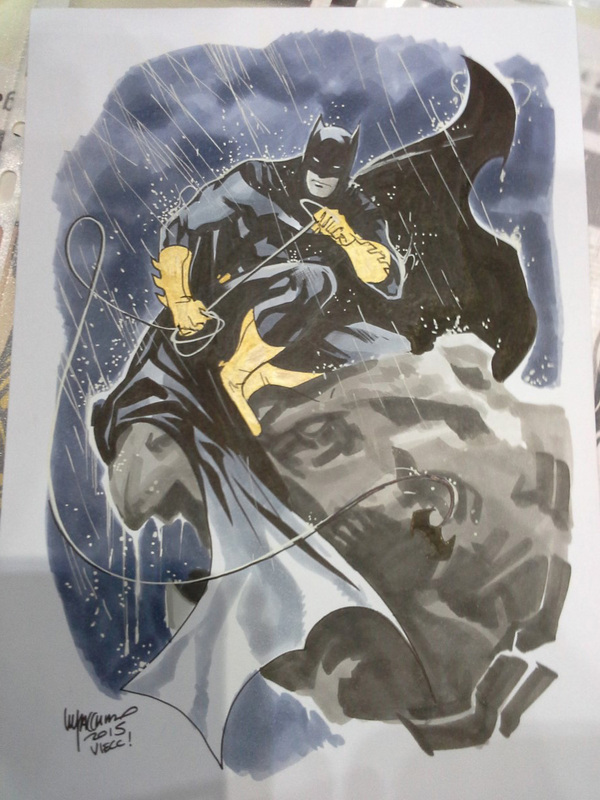 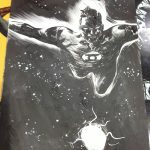 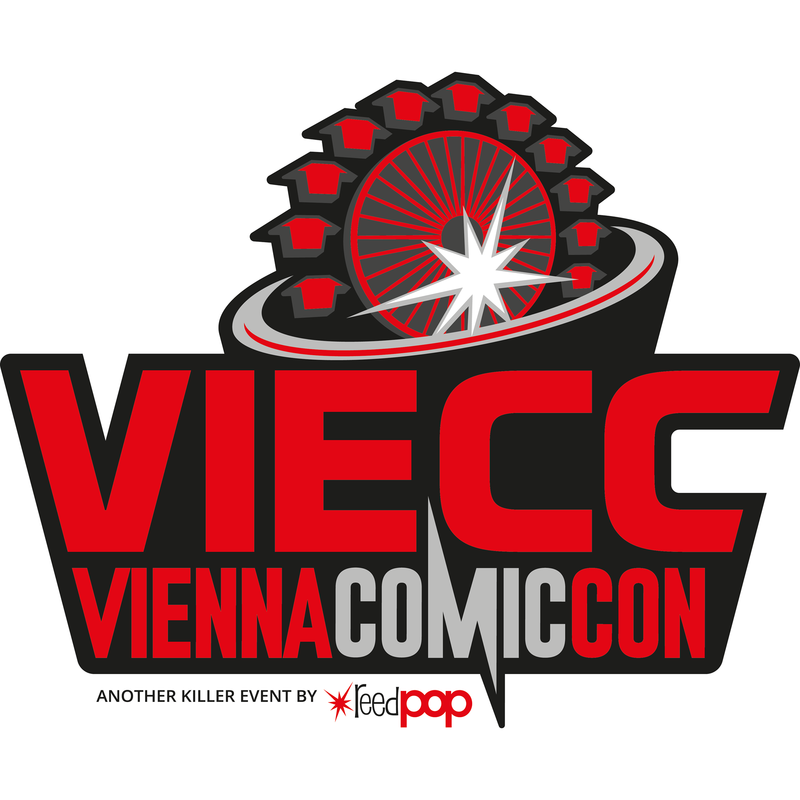 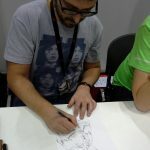 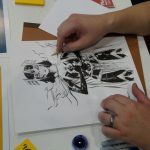 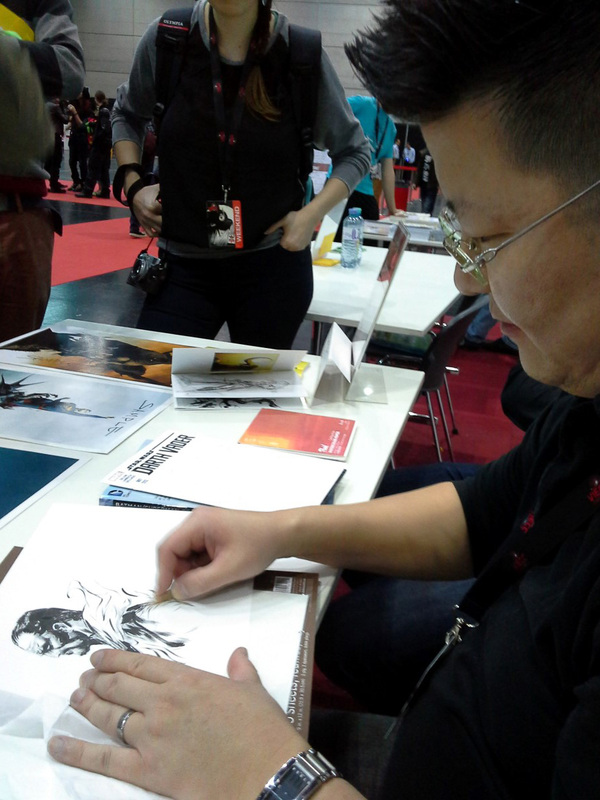 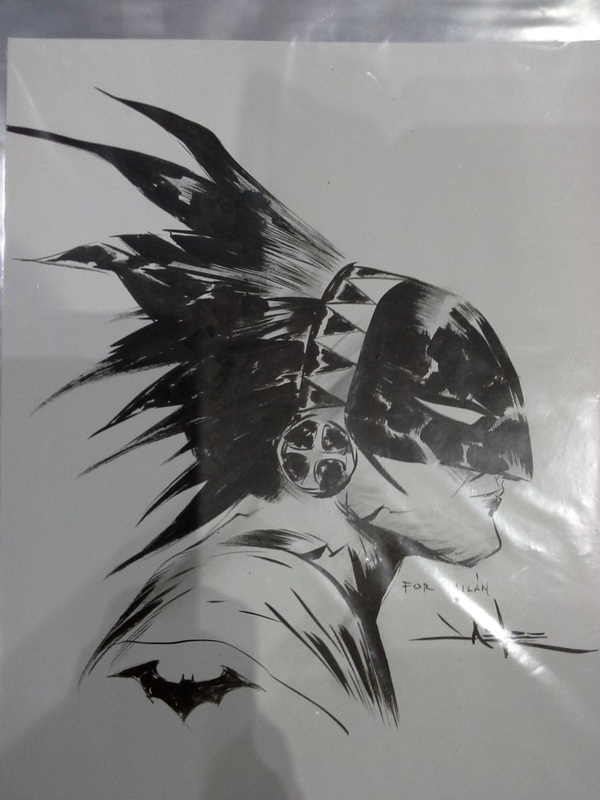 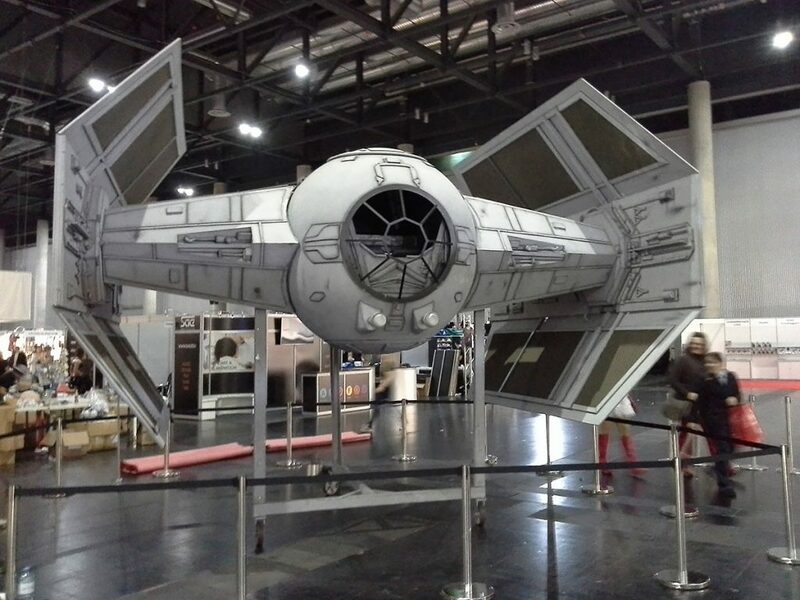 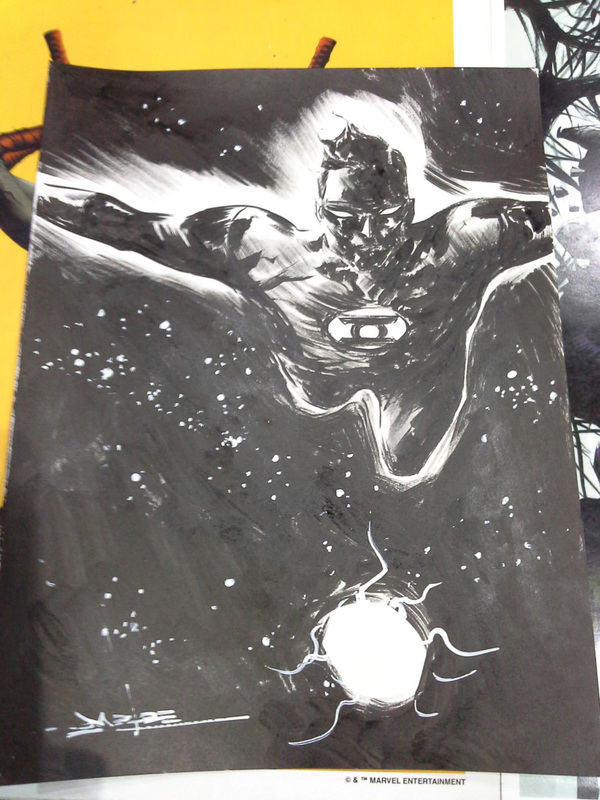 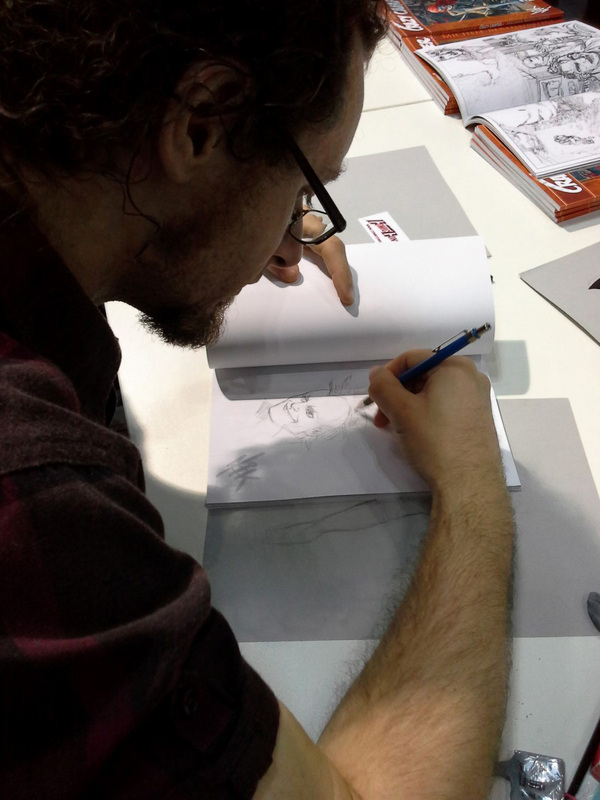 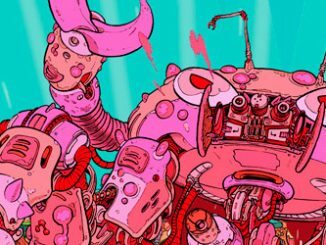 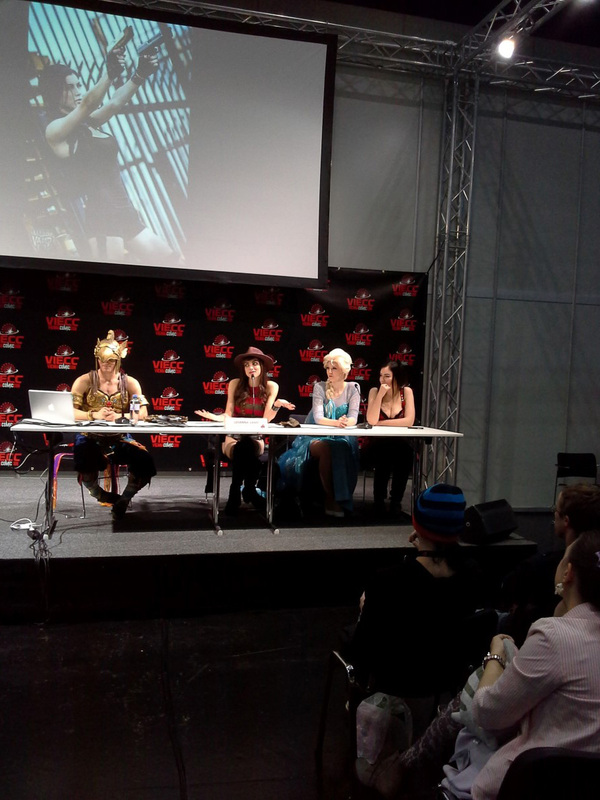 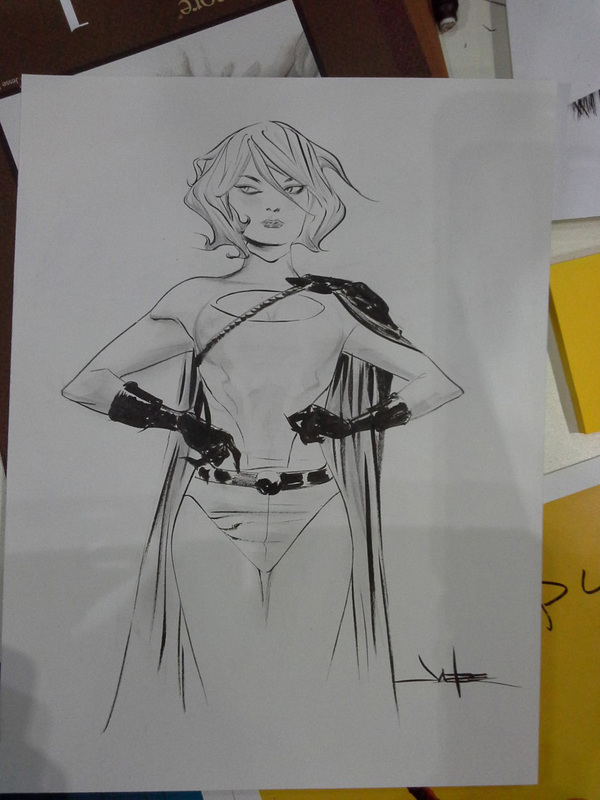 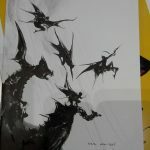 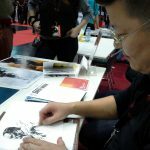 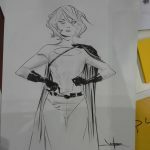 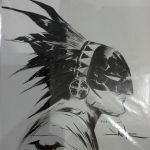 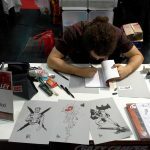 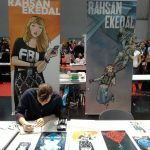 VIECC Vienna Comic Con was held for the first time and they started with a bang inviting top-talents Jae Lee and Giuseppe Camuncoli as headline guests along with Mahmud Asrar, Rahsan Ekedal, Emanuela Lupacchino and the list goes on in the famous Artist’s Alley. 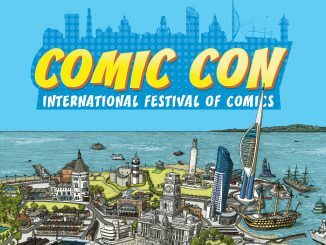 On the popular culture front they invited great actors such as Giancarlo Esposito of Breaking Bad fame and William Houston. 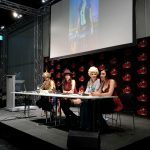 On the cosplay front Vamptress LeeAnna Vamp was the most well-known guest and she brought some of her most well-known cosplays to the 2-day event but there were a lot of foreign and local cosplayers and cosplayer guests. 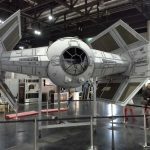 There some awesome props from movies such as Star Wars, and the visitors not only could take photos of the exhibited battle ships they could even sit in some of them. 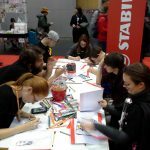 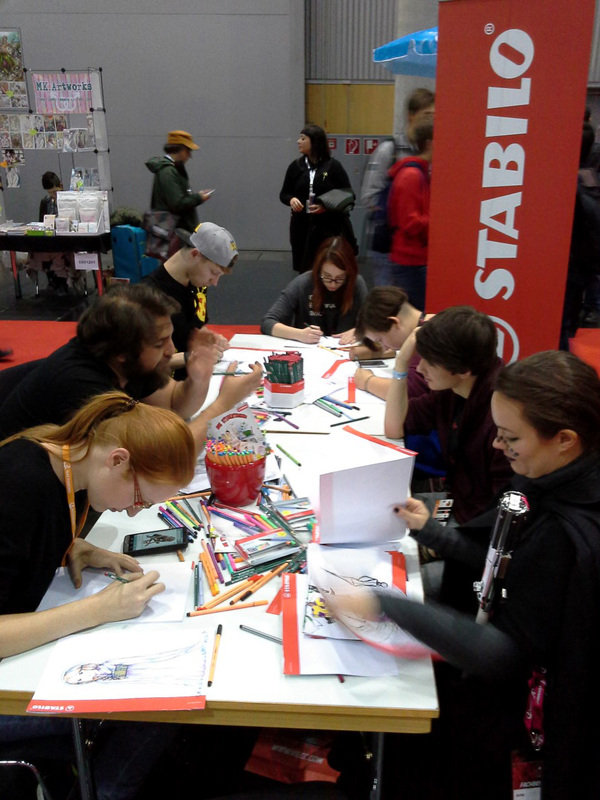 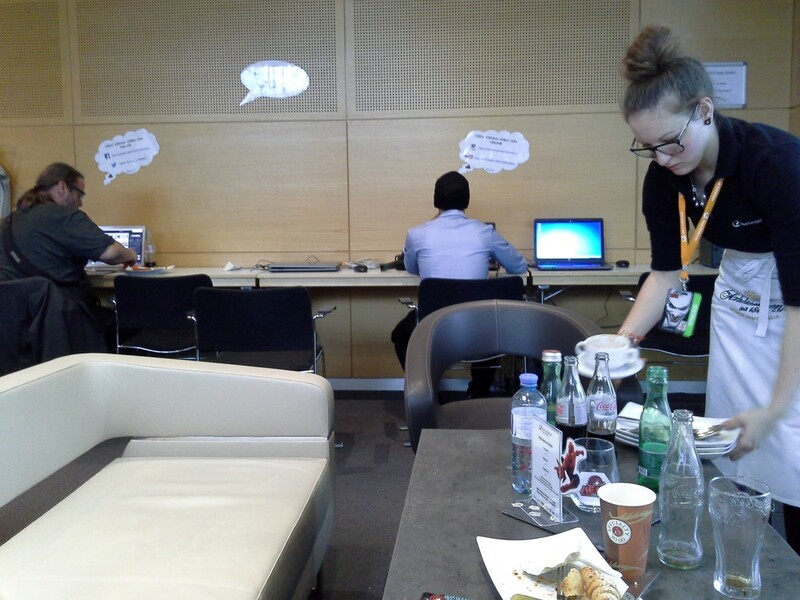 There was a big table sponsored by Stabilo where anyone could sit and try their products and draw. 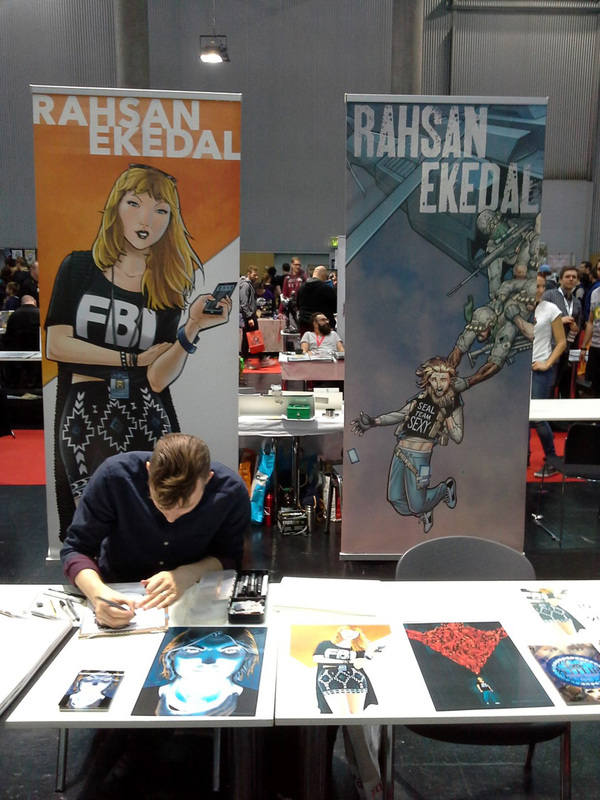 The only real problem we found as journalists was at the Artist’s Alley when two of the exhibitors started an audio-fight bringing the volume of their music near to the unbearable range. 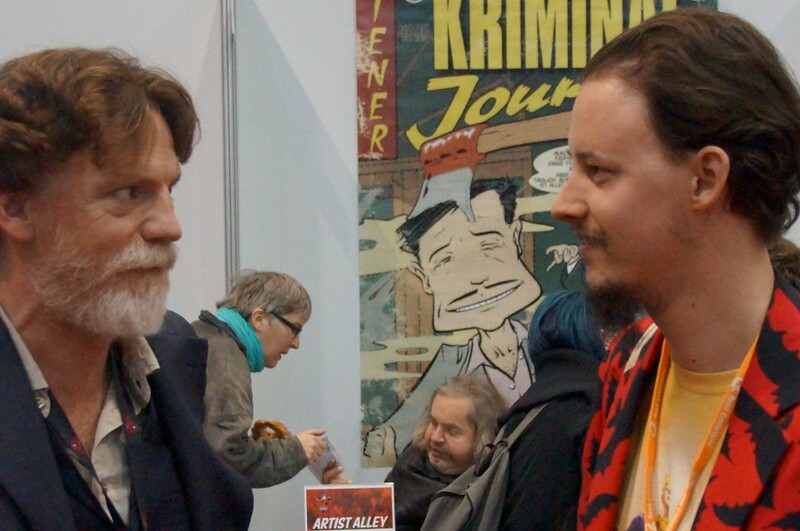 It was problematic hearing each other and sadly our interviews suffered the most with both of them being nearly inaudible. 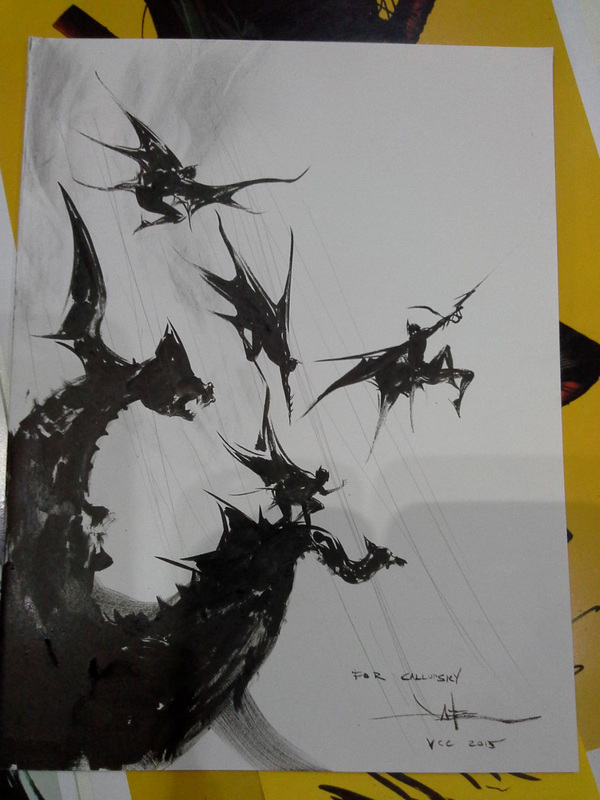 You can find them by clicking here. 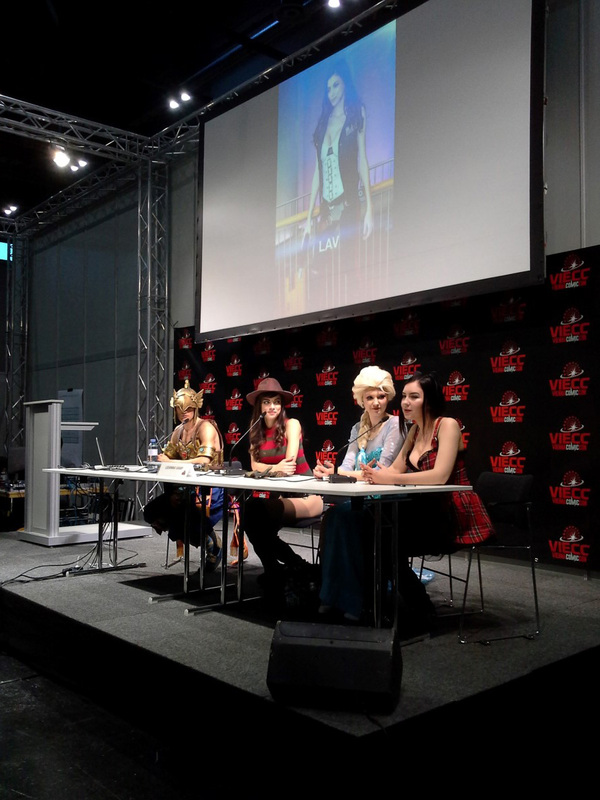 We can only praise the organizers of this event and apart from the interview fiasco (which was entirely our fault as we forgot to apply for a decent one at the dedicated interview room) the organizing was great and unusually punctual and precise. 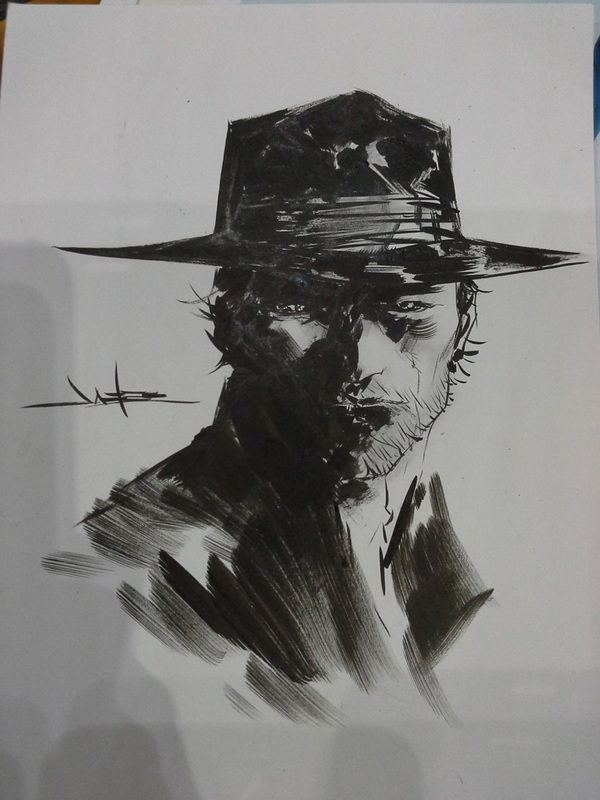 Thank you and hope to you see you again soon!